Henlopen Landing a Lewes Delaware retreat! 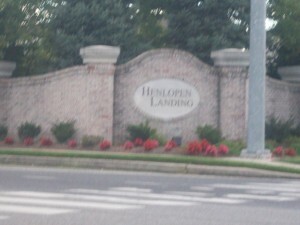 Henlopen Landing real estate activity is brisk. Its an active community that stays busy inside and outside the neighborhood. The community provides the residents with many amenities, including schools and day care centers. If you are a fitness enthusiast, there is a nearby health club and there are hospitals, dental practices and eye care facilities in the surrounding areas. There are restaurants, coffee shops, dessert shops and bakeries where you can find something to eat. You can be provided with many services, including accountancy, cable services, handyman services, lawn care, landscaping, heating, and air-conditioning services. Retail and consumer services are available in Henlopen Landing and you can shop at various grocery stores, department stores, jewelry stores, bookstores and fuel your car at gas stations. If you want to travel, there are various travel agencies that can make those arrangements and they can book your flights at the nearby airports. You can hire a vehicle at a car rental service and you can find accommodation at leading hotels. For a fun day out, you can take your family to the beach, movie theater or amusement park. You can also practice your swing at one of the many golf courses surrounding the area. When it comes to the actual property in Henlopen Landing, you can find homes for sale that are centrally located. Newly built homes are available for sale and they come with all the facilities that you can expect in a modern home. You can find a single-family home in colonial style, built on a quarter acre lot. The house can have four bedrooms with oversized master suites and granite and hardwood floors in the kitchen and living room. The house can have a two car garage attached to it. For additional information concerning homes for sale in Henlopen Landing, you can contact a realtor.